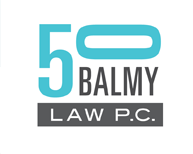 Entertainment Law | 50 Balmy Law P.C. 50 Balmy Law’s multifaceted entertainment practice includes legal aspects of interactive multi-media/multi-platform properties, publishing, talent agreements and options, licensing, relationships with agents, film production and distribution, rights clearance, product placement, publicity rights, and the licensing and protection of intellectual property. We have helped clients hire union orchestras for live performances, secure performer/participant coverage for performers; secure rights to create original music from estates, publishers, and song writers for choral compositions and performances, represented important choral directors in separations from and affiliations with choruses, done deals with major agencies like CAA, and all the legal work for Dolores Huerta’s 80th birthday celebration at Los Angeles’ Greek theater, including advising about filming and distributing the celebration concert, and streaming birthday wishes from the President of the United States. Our entertainment law practice frequently involves publicity rights, which is the right to control the commercial use of one’s name, voice, likeness, signature, and life story. We provide strategic counsel on the development of clients’ rights regarding the use of their personas, including names, images, photographs, voices, signatures, and other aspects of their identities, and provide guidance on how to protect and enforce such rights. This work has included licensing rights for the Cesar E. Chavez rose, creating guidelines for appropriate use of a well-known educator/author’s name, voice and likeness by her publishers, advising subjects in Apple’s “Think Different” campaign, and protecting some 9/11 victims’ identities from commercial exploitation. This firm successfully litigated a copyright, trademark and publicity rights action by the estates of music legends Jerry Garcia, John Lennon, Frank Sinatra, Janis Joplin, Jimi Hendrix, Bob Marley, Barry White and Miles Davis against a national restaurant franchisor. Documentary Films for which the firm has served as a legal advisor include Thoth (Academy Award winning short), Beyond Conviction, and Semper Fi: Always Faithful.